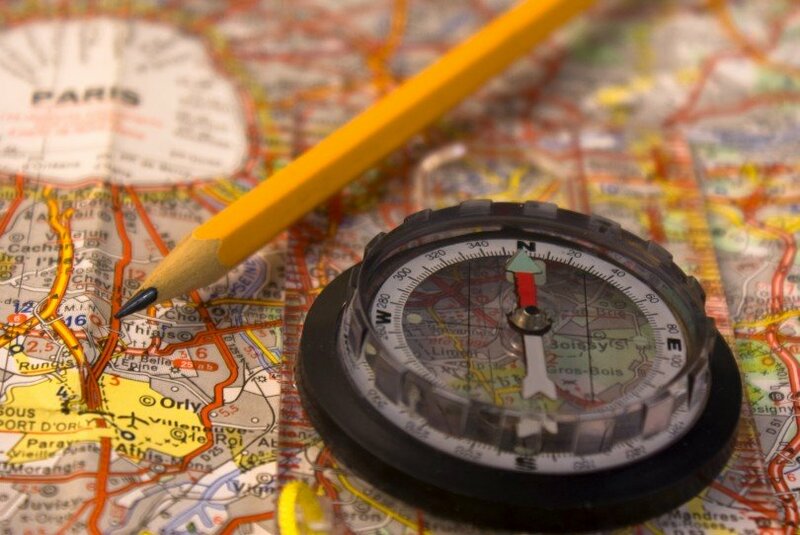 You may be a travel freak and have gone to the places everyone around the world dream about. But have you ever visited some weird places? Do you even have a clue how the planet can show you its different faces? There are a variety of places across the world that are famous for the weirdness it shows. Let’s visit those places to see how weird, strange, and yet beautiful nature can be. Don’t forget to check out The ultimate bucket list of Indian trips for every traveller. The place seems as if some master architect has created it, but this causeway in Northern Ireland is a beautiful piece of nature. 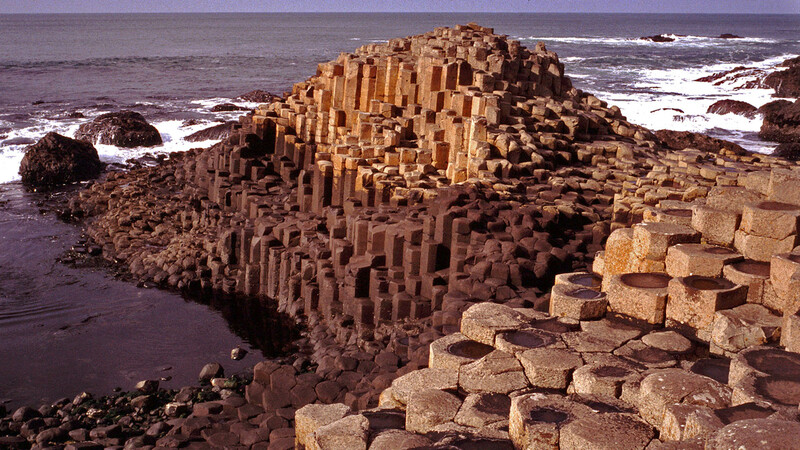 The 40,000 interlocked basalt blocks, being in Ulster- scots as a result an ancient volcano. You may have heard about strange places where people go but never come back. 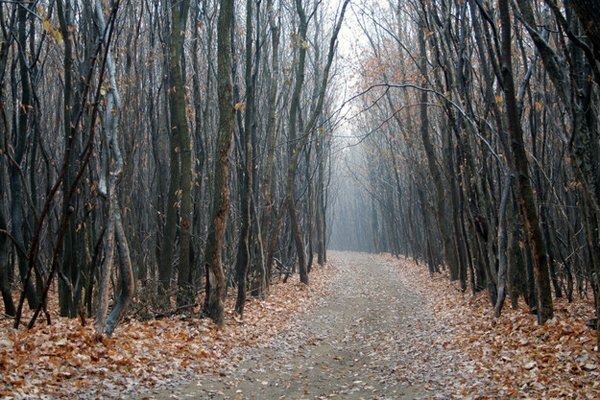 Hoia Baciu Forest is similar to Bermuda triangle in Romania. A highly dense forest, spread in the area of 250 acre is the origin of many unexplained stories and paranormal activities and hence forming a particular piece of nature’s mystery. Everyone is so curious about the heaven, ever considered the hell? Here is a live trailer of hell in Turkmenistan. 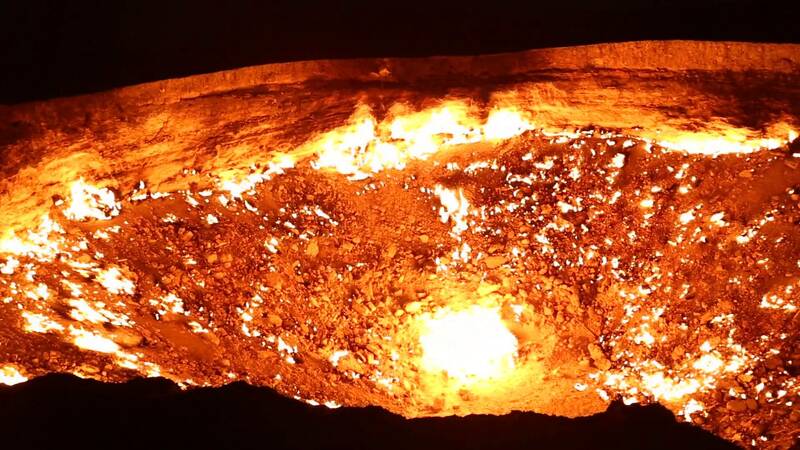 Looks like Lucifer is ready to burn the world with this natural gas crater in the diameter of 69 meters and depth of 30 meters. These several hundred meter rocks forms an unexpected face of nature with its unusual colors on smooth and sharp texture. Formed by the deposits of sandstones, it makes Linze and Sunan county a must visit place for the travel freaks. Like that door to hell, the world has its own mysteries with endless stories. Thor’s well is another instance of how dangerous nature can turn out to be especially due to high tides and storms. 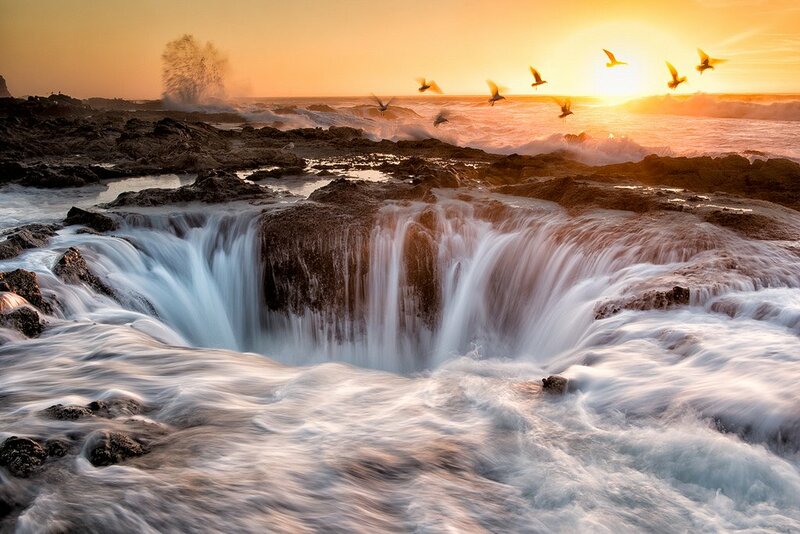 Oregon’s Thor’s well is still a beautiful example of nature with most of the visitors. 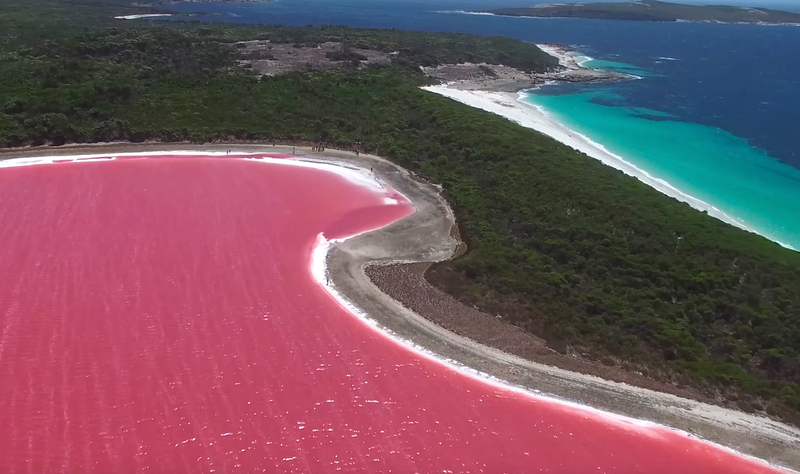 Right on the middle island of Western Australia, there is an unexpected view of saline water turning into pink colour. That beautiful pink water is spread over 600 metres of area and is about 250 metres deep. The location makes the lake its self- attractive surrounded with beautiful dense forest and the shore as the division between ocean and lake. 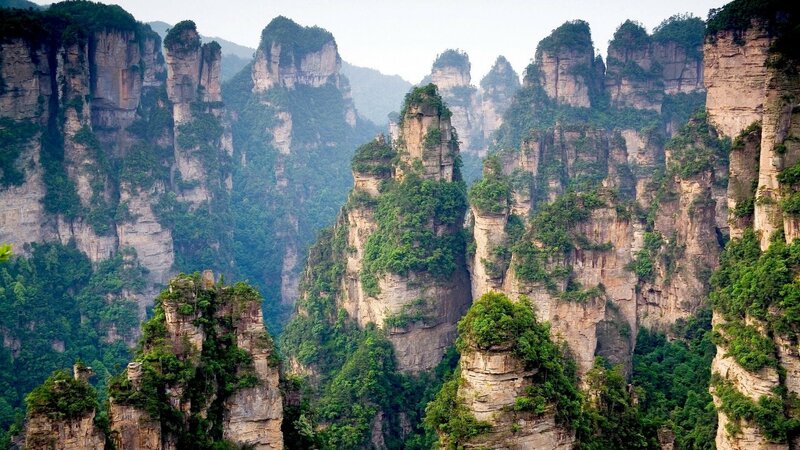 You may have wondered about those hanging mountains in the movie ‘Avatar’ by James Cameron, but it’s not just in the movie- it really exists in reality. This is a collection of different mountains with peaks competing with each other. 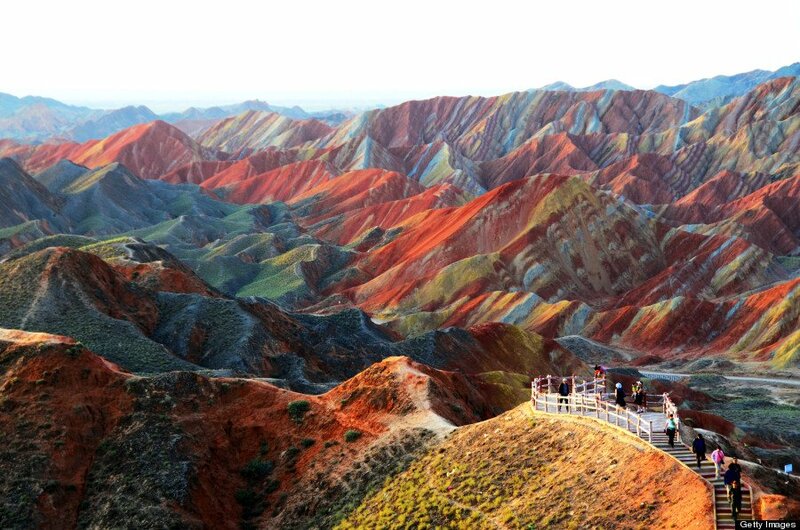 Those steep mountains in China forms a great piece of nature’s architecture. You must have heard about the devil’s triangle in Atlantic Ocean where many ships and planes passed but were never found. Bermuda triangle has its own mysteries which makes things disappear without any known circumstance. The triangle lies between Florida, Puerto Rico, and Bermuda forming a mysterious place on earth. Those childhood fantasies about chocolate and candy land have become the reality but sadly, it’s the chocolate one cannot eat. 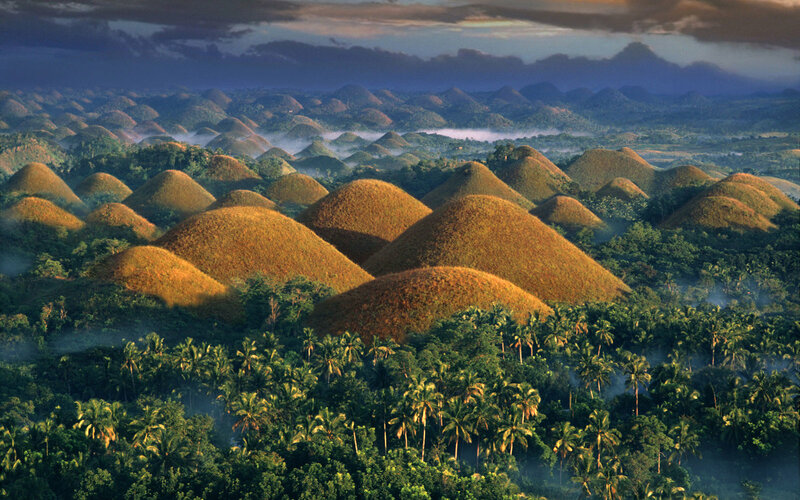 Spread in over 50 square km of area in Bohol island of Philippines, contain around 1260 hills that are entirely covered with green grass but eventually turns out chocolaty colour which gives its name to chocolate hills. The great blue hole might seem scary but it’s one of the most visited sites in the world because of its uniqueness. 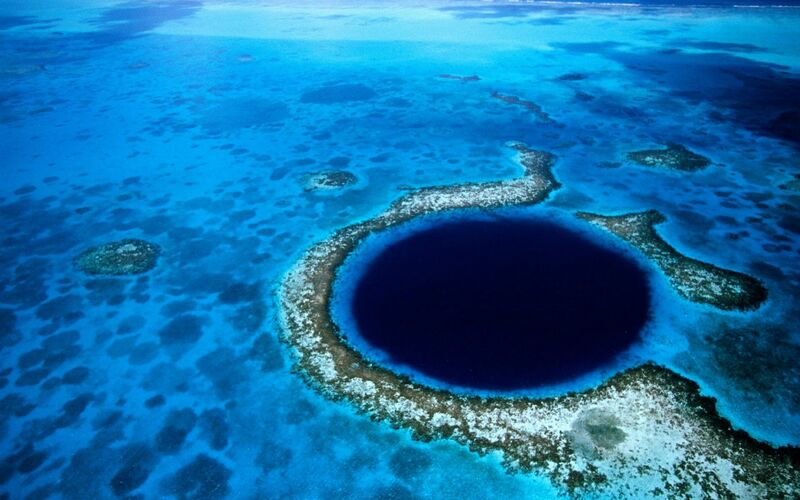 The places in known as the giant sinkhole spread in over 300 meters and are 108 meters deep. Located on the coast of Belize, the hole was formed many years back when the sea level was very low and at present, the cave is totally flooded forming such a giant hole. After getting a glimpse at these wacky and stunning places that exist on the planet, one must be shocked just like I was. It’s not just limited to this list, there are many more like these. 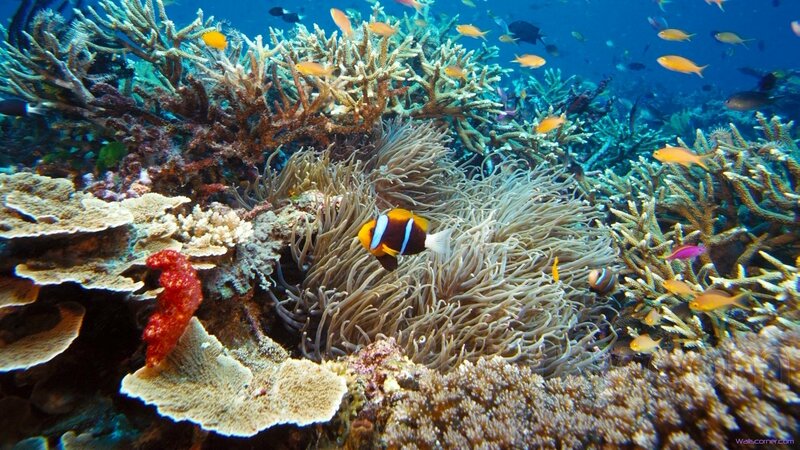 So, explore the mysteries of the planet with unexpected and unimaginable places to be visited. ← Top 5 Places In India To Go For Road Trips.